Camera: Conrad Barrett and Zanny Begg. Sound: Christian Malejka. Starring: Andy, Sumu, Janine, Katrina, Rachel, Osama and Bruce Petty. 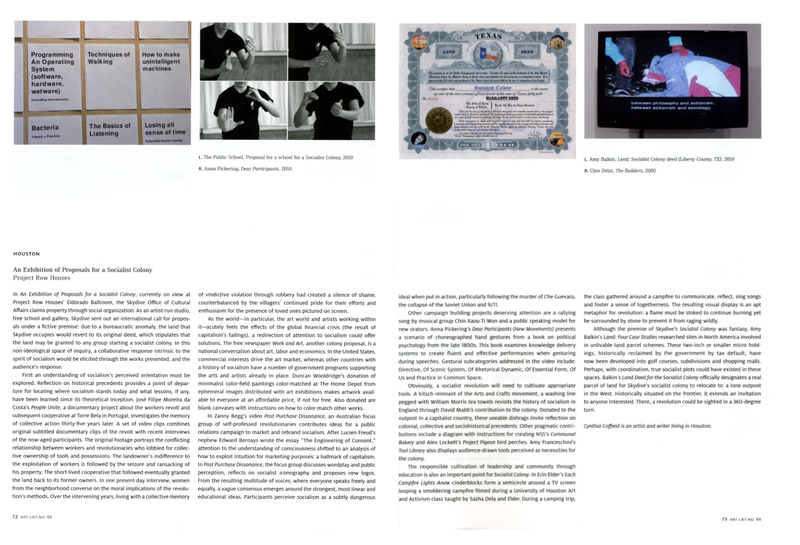 Exhibited at Proposals for a Socialist Colony, Skydive, Texas, 2010 and The Sharjah Biennale, United Arab Emirates, 2011, OK Video Festival Jakarta, 2013. Edward Bernay, Sigmund Freud’s nephew, is famous for an essay which founded the art of public relations: “The Engineering of Consent”. The publication of this article enacted a transfer from uncle to nephew, from psychology to advertising, shifting the focus from consciousness to the connection between it, and one’s wallet. The Global Financial Crisis highlights some of the persistent problems with capitalist economics yet in the discourse surrounding the recent crisis little reference has been made to its traditional counter-part: socialism. As Bernay might point out socialism clearly has a PR issue. But could we rebrand socialism? The Focus Group is a tongue in cheek look at the possibilities of revolution in the twenty-first century by using a focus group with self-professed revolutionaries to come up with a marketing campaign for socialism. Of course the joke is a double edged sword – poking fun not only at the unmarketable nature of socialism but also the manipulative and coercive nature of marketing itself. The Focus Group explores the problems of even dreaming of an alternative to the branded world we live in.